Jackie’s Healthy Habit No. 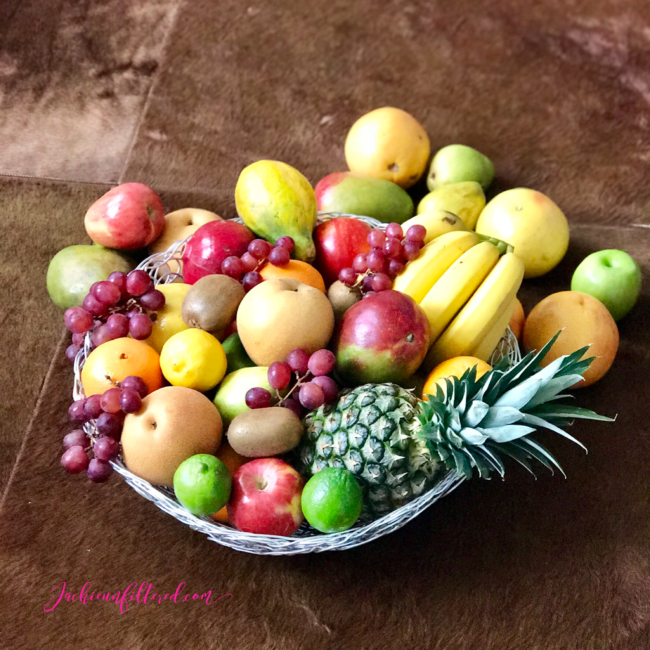 5️⃣ is “Keep a colorful fruit bowl on the kitchen counter.” This is one of our easiest habits to incorporate into your life. 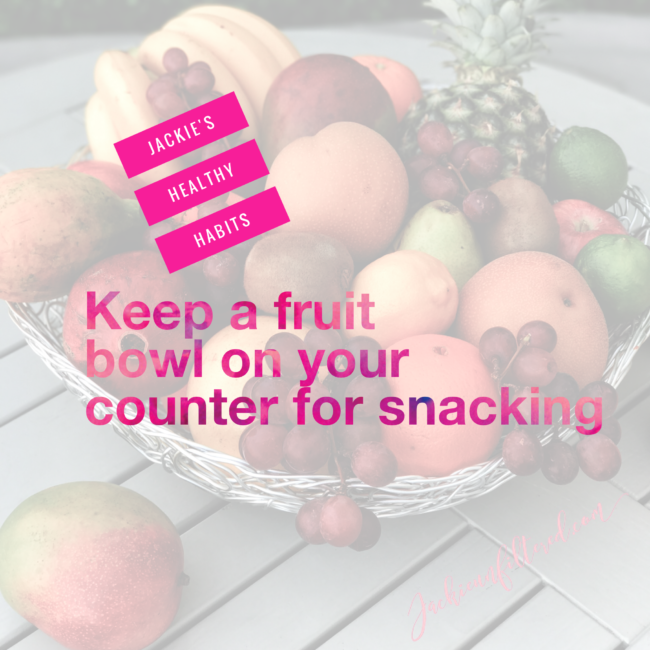 Every week, during your grocery run, pick up a variety of fruit and keep it on your countertop. 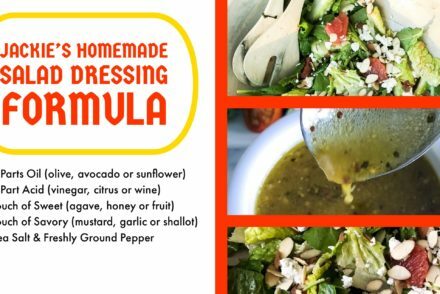 The possibilities are endless and perfect for adapting to your families’ tastes: Pineapple, grapes, apples, pomegranates, oranges, grapefruit, pears, mango, bananas, papaya or grapefruit. 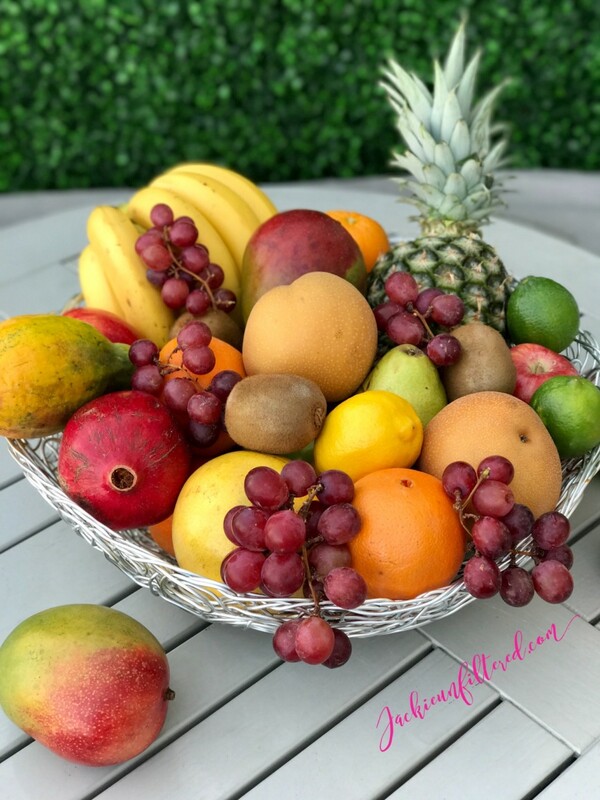 Having a beautiful fruit bowl front and center will encourage everyone in your house to grab a piece of healthy fruit for snacking instead of some processed, high-carb, high sugar item. In fact, my homework for you is to go through your pantry and get rid of the goldfish crackers, chips, candy, granola, fruit roll-ups and and all that other processed junk food. There is literally no nutritional value in these types of products, while fruit has fiber, complex carbohydrates, vitamins and minerals. Finally, don’t worry about the fruit going to waste. In our house, I find that we run out of fruit before anything has time to spoil. 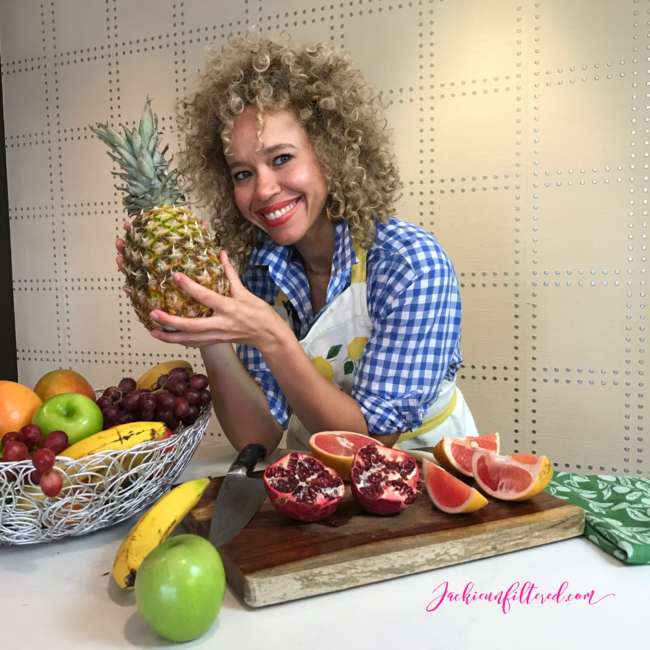 However, if a piece of fruit has ripened and you’re not ready to enjoy then rinse, chop, throw in the freezer and use later for a smoothie or dessert. Actually, this is one of my tricks for always having fruit on hand for a quick and healthy smoothie. Mac’s Ruby Woo: A Red Lipstick that will Beat the Winter Blues and Usher in Spring!